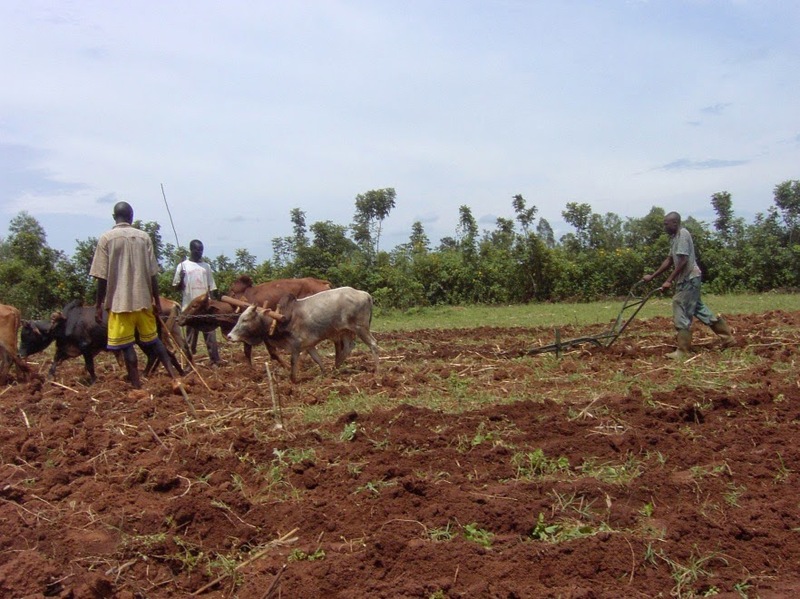 Targeting conservation agriculture (CA) remains a major challenge in Africa. Despite the common knowledge that CA can stabilize and increase crop yields, conserve and improve soil quality, success with its adoption on farms in Africa has been limited. Only where there have been supplementary investments, made to overcome the constraints of the existing system, has the International Fund for Agricultural Development (IFAD) noted widespread adoption of CA. Conservation agriculture includes three main principles: i) reducing soil disturbance through minimum tillage or zero tillage; ii) maintaining permanent soil cover via crop residues and iii) crop rotation (diversity). Conservation agriculture is a challenge because of the diverse study of ecological processes that operate in agricultural production systems, market prices and desirability of different crops, and the sometimes increased cost for CA uptake for the smallholders. ©CIAT - Kihara J. & Adolwa, I.S. IFAD and the Climate Change, Agriculture and Food Security Organisation (CCAFS) commissioned two studies with the French Agricultural Research Centre for International Development (CIRAD) to identify supporting and hindering factors for the adoption of conservation agriculture in Sub-Saharan Africa (SSA). The first1 reviewed the effects of conservation agriculture on crop yields, identifying the agro-ecological and management conditions that favour positive crop responses. The second study2, explored the merits of an assessment tool to predict the likelihood of conservation agriculture adoption in a given project region. The key findings and future plans from the first study proved that the combination of the three main principles of conservation agriculture are not, in many situations, an option. For instance, no-tillage has to be associated with mulching to result in higher crop yield. 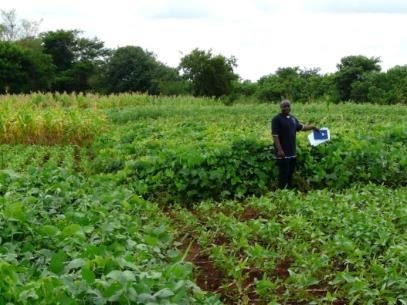 Additionally, crop rotation has to be an integral component with farmers moving from continuous mono-cropping systems to the inclusion of different crop types and preferably vegetables. These two factors are, for many smallholder farmers in Sub-Saharan Africa, the bottlenecks to adoption. Crop residues have several other competing uses on the farm, in particular as feed for livestock. Additionally the first study, using a comparison of results from 41 papers illustrating 61 independent study sites and experiments, demonstrated the importance of high nitrogen fertilizer application. Crop yields are generally low in SSA and organic residues in short supply. The use of fertilizer to enhance crop productivity and organic residue availability is essential for smallholder farmers to engage in CA. There is a qualitative expert assessment tool for conservation agriculture adoption (QAToCA). 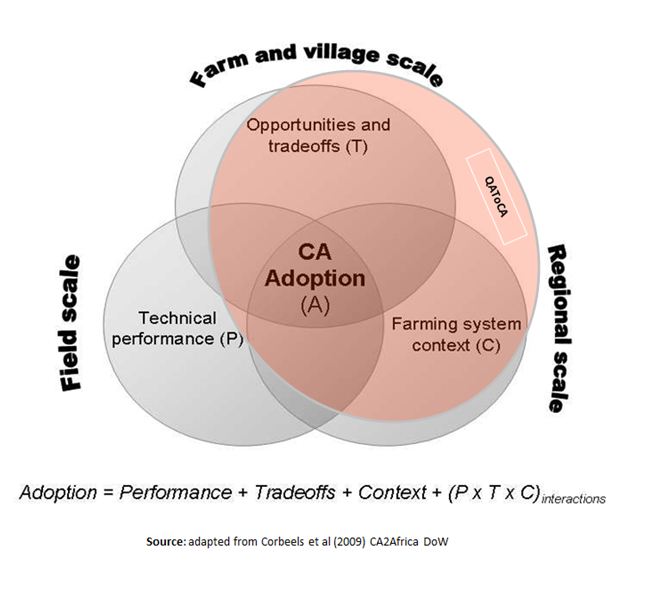 The tool was designed to predict the relative CA adoption potential in different regions. The second study that was commissioned explored the degree of accuracy of the qualitative expert assessment tool for CA adoption. The second study2 diagnosed the supporting and hindering factors of adoption in a given project. It was discovered that the QAToCA tool can help in identification of the socio-ecological niches (e.g. preferences, prices, production objectives etc.) and specific sites for successful promotion of diverse CA practices and technologies in SSA with some limitations. It also identified that the cost and availability of certain inputs (e.g. specialised no-tillage implements, vegetable seeds and fertilisers) is a limiting factor. Other identified elements were the increase in labour if herbicides are not used, as well as the conflict in the use of cereal residues for mulching and cattle feeding. The practice of free grazing by cattle of neighbouring farms is another restrictive factor. Furthermore, a crucial management aspect with respect to the successful implementation of CA is the political and institutional conditions, as government programmes, such as the purchase and promotion of ploughs and tractors for rent, might hamper the introduction or diminish wider dissemination of CA. Further research will explore the social and agro-ecological domains where CA is expected to work best in Sub-Saharan Africa. Corbeels, M. et al., 2014. Meta-analysis of crop yield responses to CA. Report of CCAFS-IFAD grant to CIRAD. Part I. 2 Corbeels, M. et al., 2014. The use and evaluation of the QATOCA tool for targeting conservation agriculture technologies. Report of CCAFS-IFAD grant to CIRAD. Part II.